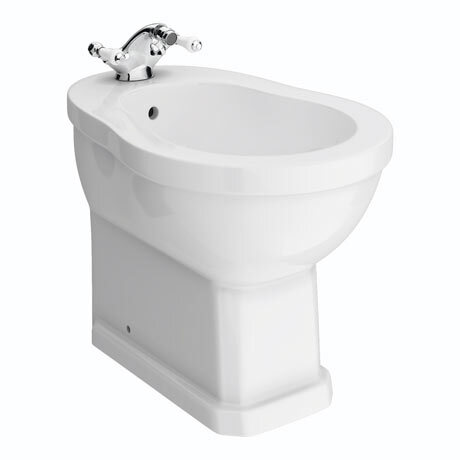 The beautiful traditional Keswick bidet, it's elegant design is ideal for creating a period look in your bathroom. Benefiting from a surge in popularity over the last two years, our range of bidets and bidet taps contains a wide range of classic and modern bidet designs. Manufactured using high-grade vitreous china ensuring a quality finish and long lasting durability. Comes with a 5 year guarantee against manufacturing defects. The bidet is absolutely fine but the tap we ordered at the same time has fallen apart at the nozzle end.Hopefully we will have a replacement from this company?